The men of Trinity gather with the purpose of growing into the likeness of Christ. We seek to be strong in the Lord, to lead with courage and self-sacrifice, and to give generously as God has given generously to us. Men’s Breakfast meets on Wednesdays at 6:30 AM, at Panera (on Ambassador). From 6:30 to 7:00, we arrive, order food, and talk about life and culture. At 7:00 we read a psalm together and consider how the psalm informs our earlier discussion. We close with prayer at 7:30. 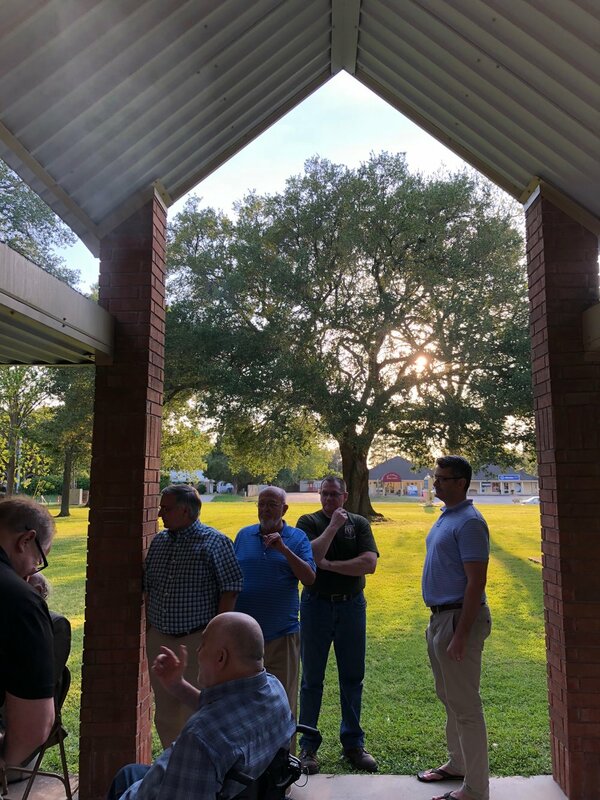 Men’s BBQ meets on the third Thursday of each month, at 6:00PM at the church. Everyone brings some meat or a side, and we start with conversation and fellowship around the grill. Then as we eat we have a time of teaching and conversation. We conclude with prayer at 8:00 PM.